Dlaczego Ja, Panie: Why Me, Lord? A Polish original, which really is as pink as it looks. Actually, it's pinker, for the pages are also pink! 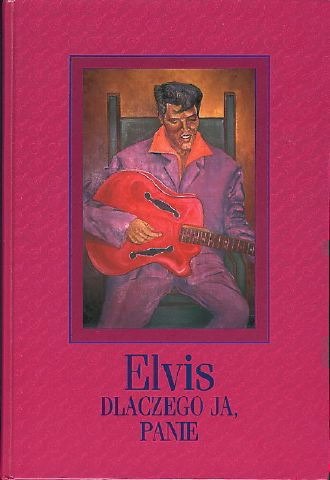 This book was originally published with the first Polish pressing of an Elvis CD. The cover artwork reproduces a modernist representation of Elvis, playing a rather strangely shaped red guitar.